When you are looking for house cleaning or business office cleaning in Aurora, service is a main priority. 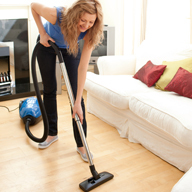 At Handi maids we have been providing residential and commercial cleaning in the Aurora area for over 15 years. Exceeding your expectations is our goal! Quality control is also a very important part of our system. We are constantly monitoring the level of service each and every client receives. Handi Maids servicing the Markham, Stouffville area for over 15 years. Looking for a Maid Service in the Markham area – look no further! A growing residential community that Handi Maids has started servicing over the passed 5 years. Clients from both residential and commercial areas in Bolton are very happy with the detailed quality of cleaning that we are providing.